Whenever you’re moving into a new property, hiring professionals help can be the best way to be certain that the process is a smooth and as easy as possible. Rather than having to worry about how to handle everything, you can hire Moving Service for all of your house removal in Morden, SM4. Whatever removal you might need, our experts deliver the kind of help which you can depend upon and they can make your life much easier. So, when you’re thinking about moving a home or an office, calling our team could be just what you need to simplify the process and reduce stress. Thanks to the help which we provide, there is no limit to the scale of the move which you might need help with. Hiring our large or small removals services means being able to enjoy the right kind of help from the right professionals with nothing to worry about. We can help with the smallest and the biggest moves, meaning that your home is always in the best possible hands. Rather than having to worry about who can help with your smaller move or your larger move, just call our team on 020 8746 4402 and get a free quote for the best services around. What Can I Expect In Morden? 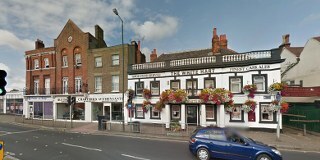 It is an area in South West London, found in the borough of Merton. Known for its closeness to places such as Wimbledon and Merton Park, the area is a quiet suburban retreat for those who are moving in and out of the city, as well as an interesting and historical destination for those who have seen much of what London has to offer. The public transportation is a very important part of what attracts many people to the area with stations such as Morden South, Morden Road, South Merton, St Helier, Belgrave Walk and Mitcham all offering access to underground, Over ground and tram systems. On top of this the local buses run through the night and can help you get home in the dark. For those who are interested in walking, the closest areas are Worchester Park, Lower Morden, Raynes Park, Colliers Wood, Hackbridge and Wimbledon. The Right Moving Vehicle Is Always Important. One of the best ways Moving Service can assist with your move is by ensuring that you have the right removal van hire in Morden, SM4. The right moving vehicle is always important and hiring the right moving van means no need to worry about having too large or too little space inside. Our expertise helps you make the perfect choice, from the large range of options which we have available. Whatever the scale of your move and whatever it is that you might need moving, a quick call to our team is all that’s required in order to get the right option. Our services aren’t limited to local removals. If you are thinking about international removals, then our professional expertise can be just what is required in order to reduce the stress and the worry which moving abroad can cause. Because of the difficulty that can be found when moving to another country, it makes sense to have the help of a company which has seen it all before. So, when you need help with relocating to another country, all you need to do is call us on 020 8746 4402 and we can provide the right solution for you and get you a free quote. Great job all round from the moving service at Moving Services in Morden SM4.